Cotton Full Seat Riding Tights for Her! Saddle Bums 4-way stretch Cotton tight is beautifully styled with no inner leg seam and would be well suited for the arena. The sueded Clarino Full Seat gives a more secure grip in the saddle. This tight has a handy inside pocket to stash cash or keys, an elasticized waist and gripper bands at the ankles for a stay put fit. 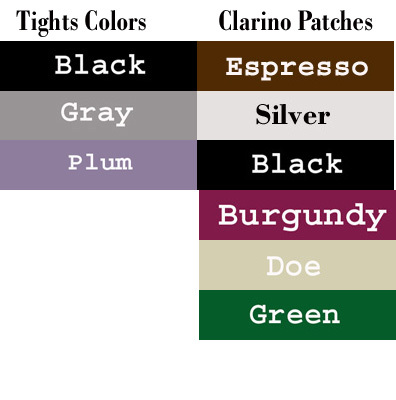 Comes in 3 colors with a variety of Clarino colors to choose from.